Medical professionals are not immune to racial bias, and if unchecked, it could be dangerous for black patients. 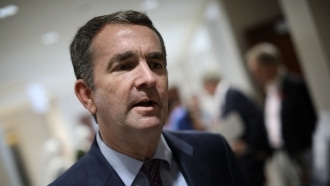 The blatant offensiveness of a blackface photo in Virginia Gov. Ralph Northam’s medical school yearbook is raising concerns about a much broader issue: anti-black bias in the medical field. Studies suggest that racial bias among physicians, whether explicit or implicit, can impact the way patients are treated — and even their health. On CBS "Sunday Morning," Dr. Neel Shah, physician and professor of obstetrics at Harvard Medical School says,"if you're a woman of color, especially if you're black, your odds of dying in childbirth are 3-4 times higher on average in our country." "Reporter: "Why? Because you're not talking about access to health care. You're not talking about money or education." Dr. Shah, "No, and this is going to be hard to hear: We believe black women less when they express concerns about the symptoms they are having, particularly to pain." People of color, and particularly black women, have been saying as much for years. Even world-famous tennis champion Serena Williams wasn’t immune to being dismissed; she said she “almost died” from childbirth complications after a nurse didn't believe her when she insisted she needed a CT scan. Now, we don’t know why Williams’ nurse didn’t take her request seriously. But research suggests medical professionals tend to falsely believe that black people can withstand more pain than white people. For example, a 2016 study found black patients were less likely to be prescribed painkillers than white patients with similar injuries. The same study found that “a substantial number” of white med students and residents held false beliefs about biological differences between black and white people, including ideas like “black people’s skin is thicker than white people’s skin.” Researchers said misconceptions like that could impact the way doctors assess black patients’ complaints and the way they decide on treatment. Medical professionals not only believe black people experience less pain, there’s also evidence that they overwhelmingly favor white patients over black patients. Researchers at the University of Wisconsin-Madison gave doctors computerized tests designed to expose implicit bias. Their study found that even though no physician explicitly reported favoring white patients, physicians of all races, except for black physicians, held pro-white biases. Essentially, they associated white patients with good behaviors and black patients with bad behaviors, such as being uncooperative. And these biases on medical decisions could perpetuate health care disparities. 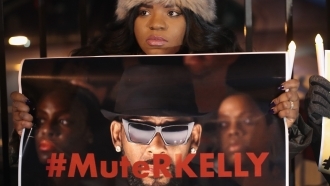 Related Story Why Don't We Believe Black Sexual Assault Survivors? We're here at the University of Chicago Medicine to meet with Dr. Monica Peek. For the past 10 years, she’s been the co-leader of a program that aims to reduce health disparities among people with diabetes in the South Side of Chicago. Peek said: "People who are socially marginalized pay a price for that marginalization in lots of ways in society, including when they come to get treated for their illness. And so they're less likely to get well because of that." Peek says physician bias can impact patients in lot of ways, including the amount of time doctors spend with them and the quality of care they receive. In order to improve quality of care, some marginalized patients have tried changing the way they dress for doctor’s appointments. Others have opted to see doctors with backgrounds similar to their own. But Peek believes the onus of ensuring people receive quality care shouldn't be on patients, but health care professionals. Peek said: "People find ways to try and navigate the healthcare system in a way that protects themselves and their identities. But we are not at all where we should be. It's worked for the patients, but really the responsibility lies with physicians, the health care teams and our health care systems in society at large to right these wrongs." Peek said: "Our work environment increases the chance that we will rely on our biases and stereotypes [more] than others. ... When you are under pressure, and when you have to make important clinical decisions when you don't have all the information. And so that's our situation all the time." The researchers behind the University of Wisconsin study we mentioned earlier said one possible solution to this issue is simply increasing the number of black doctors. And while implicit racial bias impacts black people the most, other marginalized people experience them as well. And Peek suggests that physicians practice self-assessment when stereotypes and preconceived notions start creeping in. There are tools, like Harvard's Implicit Association Tests, that can help people uncover their own biases. Peek said: "There's hope, you know. This is some dark times in our country, but there is a lot of hope to be found. There are a lot of us who are fighting this fight and a lot of change that is happening right now."